Your car won’t start and at this point, you’d rather have someone haul the car off, pay you $500 and let you get on with your life, right? Well not so fast. 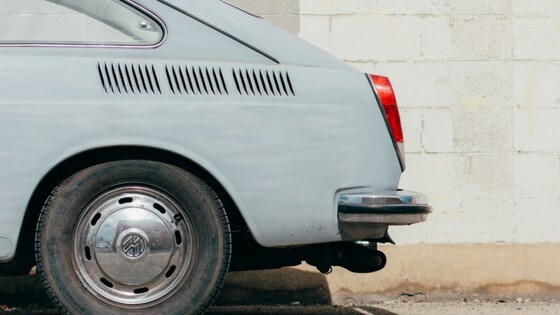 Going the “junk my car” route might seem like a convenient way to get some extra cash and get rid of an eyesore in the driveway, but it should only be considered as a last resort. Investing a few dollars could net you a lot more cash in your pocket than anything a “junk my car” service can offer. If convenience is what you’re after, services like TRED can make the whole process of selling what you thought was a “junk car” easier and more profitable than you might have imagined. What would your car be worth if it was running? Too often people don’t do the math because they are frustrated or in a pinch to sell their car fast. On average, vehicles built as far back as 1999 go for at least $5,000 on average when sold on TRED. That means that if you were willing to let your car go for $500 (or likely even less) to a “junk my car” site or junkyard, you could spend up to $4,000 on repairs and still make more money than junking it. The best first step to doing your own math on the topic is to use sites like Kelley Blue Book to estimate the value of your vehicle. Fill out the information as if your car was in good running condition and decide on what your budget should be for repairs to the engine. Often when you’re in the mindset of keeping a car, you’ll cut some corners. Whether that leads to trying to fix it yourself or hiring a cut-rate mechanic the results are unpredictable and lead to multiple breakdowns. That can result in a frustrating cycle breakdowns that could lower your perceived value of your car. Next, find a well reputed local mechanic to give you an estimate on what it would take to get your car in good, running condition. Yelp is a great place to start when you are doing research on your mechanic. Pro tip: When searching for the right mechanic on Yelp, look beyond the number of stars by scanning for mentions of mechanics by name. Don’t be afraid to request mechanics that are consistently complimented for their quality work. What cosmetic fixes can I make to increase the value? If fixing a few cosmetic issues can get you a rating of “fair” or “good” condition (assuming your car is running now) on a car you considered “junking”, you might be surprised how inexpensive those fixes can be. For the exterior, things like dents and scratches might not be as serious as you thought. As long as the damage isn’t too severe and rust isn’t involved, you may be able to use simple hacks to remove dents or polish away scratches. I agree in asking the questions “what would your car be worth if it was running?” If it’s a high enough number, maybe you can continue to use it. If not, I believe it would be best to sell your junk car and invest in a newer one that will last longer.